Here are a couple of quick photos of some Dread Mob additions I'm making. 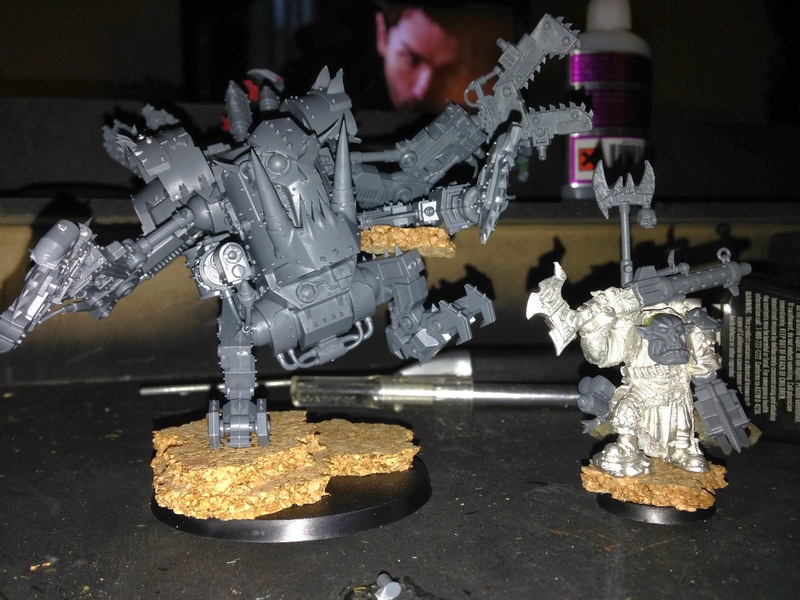 I'm adding my first Deff Dread, who will act as a Troops choice in this army. 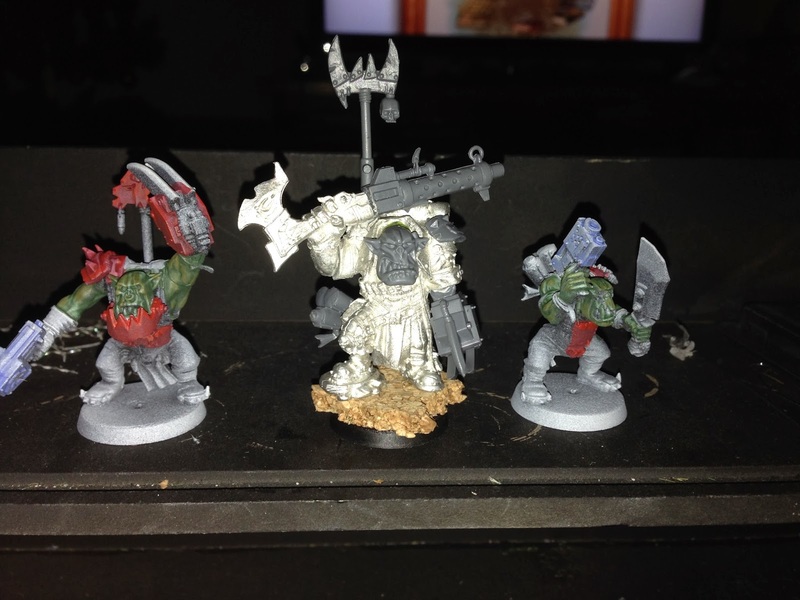 I'm also adding a custom Nob, who will lead my allied block of 30 Boyz. That same block will enjoy the ministrations of both a Pain Boss and a Mek with Kustom Force Field. Most survivable mob EVAH!